Contact us for information about hosting your workshop or event at Lady Luck Flower Farm. 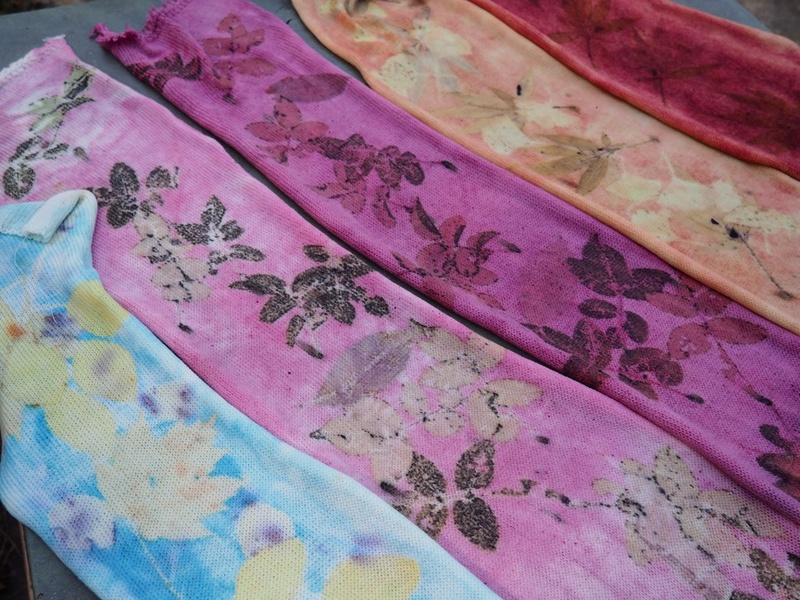 Discover the creative art of Eco Printing and Bundle Dyeing! Spend a day among the herbs and flowers learning to capture the unique qualities of plants on silk and cotton. We will use natural dyes and plant materials to make a lasting print of leaves and flowers on silk scarves, cotton watercolor paper, and silk noil. Learn how to prepare your fabrics, what plants produce dyed prints, and how to print with those that don’t during this relaxed day of encouragement and fun. Herbal tea, made from some of our favorite dye plants, and all dye materials will be provided. Bring your lunch, and take home your printed creations! Class taught by the lovely and talented Maria Muscarella a local Fiber Artist and Herbalist.